Review of The Life and Death of Leon Trotsky, published in the latest issue of Socialism Today. Trotsky is back in the news, partly because Tom Watson, deputy leader of the Labour Party, attacked the “Trotskyists,” specifically the Socialist Party (formerly Militant), with allegations about our role in supporting Jeremy Corbyn. In truth, the political influence of Trotsky never went away. The Socialist Party, through its consistent work in the trade unions, the workers’ movement and among the youth and working class generally, used his methods to maintain and build a significant presence in Britain and elsewhere in what was a difficult period for the labour movement. Trotsky’s character and the massive contribution he made in two revolutions – in 1905 (the “dress rehearsal” for 1917) and in the monumentally successful 1917 October revolution itself – are clearly brought out. 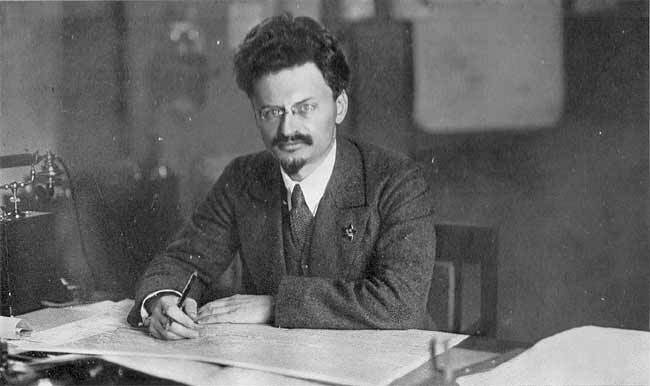 No less important – in fact Trotsky’s greatest contribution – was his subsequent analysis of the increasingly bureaucratic degeneration of the revolution through Stalinism. Hounded by Stalin’s murder gangs and allegedly “politically isolated,” Trotsky’s matchless analysis has stood the test of time. Without his theoretical clarity, subsequent generations would have been able to grasp perhaps only with difficulty and delay the complex and contradictory phenomenon of Stalinism. However, we are not dealing here merely with historical experiences, long forgotten and with no relevance to the modern labor movement. Firstly, in Britain, the issue of Trotsky and “Trotskyism,” and the role of the Socialist Party through our critical support for Jeremy Corbyn in the Labour leadership election, have forced their way into the bourgeois media and thereby into the popular consciousness of the labor movement. Secondly, the 100th anniversary of the Russian revolution falls next year. It is likely that the ideas and methods of Trotsky, alongside those of Lenin, will occupy center stage. Inevitably, they will be distorted by bourgeois historians, academics, journalists, etc. The honesty and modesty of Lenin and Trotsky before history is recognized again and again in this book. One incident illustrates the method of Lenin in relation to his own role. He had sent notes to the Bolshevik Central Committee on the ‘democratic conference’ which took place before the revolution. He demanded that the Bolsheviks should prepare for power immediately, even if this meant assuming responsibility for this in their own name. He feared that the exceptionally favorable period to take the revolutionary initiative which existed in September, October and November 1917 could be lost. The consequences of this would have been a catastrophic defeat and the ultimate triumph of some kind of military dictatorship, as the failure of the Chinese revolution of 1925-27 later illustrated with the victory of Chiang Kai-shek. Their approach was entirely different to the picture painted of the Bolshevik party – “intolerance,” the use of violence, lack of democracy, etc – by bourgeois hirelings, historians and their media. This was on full display on Channel 4 News recently when I was interviewed over the allegations, made by Tom Watson, of alleged “Trotskyist arm twisting.” He had explicitly named the Socialist Party. Jeremy Corbyn dismissed this as nonsense. (As an aside, Corbyn had supported a parliamentary motion in 1988 calling on the Russian government to rehabilitate Trotsky!) All of those who were expelled from the Labour Party in the past – Militant supporters and others on the left – should be readmitted into membership of Labour. The Channel 4 News interviewer, Cathy Newman, accused me of advocating “violence” in the cause of “revolution.” She asserted that this was illustrated by an article that I had allegedly written. Yet, when challenged, it was clear that no such phrase had been used. Nevertheless, it is indicative of how “violence,” particularly on the part of the Bolsheviks and the revolutionary forces, is automatically linked to the Russian revolution and by association those, like the Socialist Party, who defend its legitimacy as well as the reputation of Lenin and Trotsky. This is likely to be the chosen theme when the 100th anniversary is celebrated next year. But it remains an incontestable fact that the Russian revolution was carried through democratically and peacefully, or relatively peacefully in the first instance, with only accidental deaths in the storming of the Winter Palace by the revolutionary forces. The Life and Death of Leon Trotsky is also a timely reminder of the vital necessity for and the role of a revolutionary party – with a politically far-sighted leadership as the vital ingredient – the forceps, which allows a revolution to be ‘born’. Without the Bolshevik party – and the worker-cadres assembled in its ranks who were steeled in the battle against the landlord-capitalist tsarist regime – there would not have been a successful Russian revolution. This idea is refuted today by the theoreticians of “spontaneity,” among whom Paul Mason is counted: “You can do more with a mobile phone than a party.” This against the most ruthless ruling class in history that has concentrated unparalleled economic and state power in its hands! Other genuine and sincere young people in the anti-capitalist, anti-austerity movement, repelled by bureaucratic parties and their leaders, also reject political parties and naively believe that “self-organisation” is all that is required. But the leaders of some of the new radical formations, like Podemos in Spain, while appearing to reject ‘top-down’ leadership and bureaucratism, in fact embrace a similar approach. Organised in a loose, virtual ‘federation’, real power is concentrated in the hands of the Podemos leadership with little or no opportunity on the part of others in the ranks collectively to formulate, and organize if necessary, alternatives to the leadership. The method of organisation of Podemos superficially puts power into the hands of the “membership” but in reality concentrates it in an elitist fashion in the hands of the general secretary, Pablo Iglesias, and the Citizens Council. This body has 81 members, consisting of the general secretary and regional secretaries, plus 62 members directly elected by a Citizens Assembly – not in a face-to-face delegate meeting but only online. Superficially, this appears to be super-democratic, but it allows the leadership to pull the strings without the challenge of face-to-face meetings. When the Indignados movement developed in Spain in 2011 – and was emulated in the occupation of Syntagma Square in Athens and other squares in Greece – it attempted to systematize spontaneity as an “alternative” outside the “traditional” method of organizing through delegates, democratic discussion and the right of recall, etc. This led to many indignados abstaining in elections, with the capitalist Partido Popular subsequently coming to power in Spain. It remains a fact that the traditional method of organisation deployed by the Bolsheviks, and emulated by the Marxist movement ever since, is the only one through which a successful socialist revolution, led by the working class, has been carried out. The highest form of this was reflected in the workers’ and soldiers’ councils (the soviets) – later emulated by the peasantry – in which “direct democracy” was exemplified. The real organisational outlook of Podemos is, in reality, the posturing of “anti-group groups” or “anti-party parties.” They deny the right for different trends of opinion to openly and democratically get together, formulate alternative ideas, aspects of the program, etc, and, if necessary, to fight for these ideas within the structures of common organisations. They arrogate to themselves the arbitrary right to do precisely this because they happen to be in the leadership at any one time. Bolshevism was internationalist to its core, unlike Stalin with his proclamation of “socialism in one country.” The Russian revolution was seen as the overture to world revolution. This is underlined in the comments of Trotsky, quoted by Sedova and Serge, that the Russian revolution would not have lasted a year without the support of the working class internationally. Indeed, opposing forces initially gave the Bolsheviks between two weeks and two months before they would be overthrown. When it became clear that the Bolsheviks were supported by the mass of the working class and the peasants in Russia and worldwide, and were consolidating democratic workers’ power, force was then resorted to through the intervention of 21 imperialist armies. It was this that led to the cruel civil war with the terrible suffering meted out to the Russian people by the dispossessed landlords and capitalists backed up by military force. At its lowest point, the revolution seemed to be hanging by a thread with the area controlled by the Bolsheviks reduced to the two major cities of Moscow and Petrograd in the region around the old province of Muscovy. The book illustrates the decisive role of Trotsky in the defense of Petrograd and in helping to create the Red Army, alongside Lenin’s vital political and theoretical role, in consolidating the revolution and driving out the imperialist foreign invaders. A one-sided civil war was unleashed through the infamous purge trials in the darkest chapter in the history of the workers’ movement, with Stalin’s malevolent determination to politically and physically destroy all remnants of Lenin’s Bolshevik party. Fidel Castro – who actually presided over and led a revolution in Cuba, and could not be compared with the mediocre Stalin – was not the originator of long speeches, the book reveals. At one stage, Stalin spoke for seven hours in a denunciation of Trotsky and the Left Opposition! This took place at a congress of the “Communist” Party when there was not a single member of the opposition among the 1,669 delegates. Trotsky and we have answered the arguments of Serge on Kronstadt (see: ‘A Dis-Service to Leon Trotsky’, http://www.socialistparty.org.uk/articles/8244). Regarding Nin, the truth is that Trotsky recognized in many letters and documents his self-sacrificing approach in fighting Stalinism, firstly within the belly of the Stalinist beast in Russia at the time of the persecution of the Left Opposition. Nin was freed and allowed to leave because of an international campaign in his defense, organised among others by the Trotskyists themselves. In this way he passes over a crucial event organically linked to the fate of the Spanish revolution. At one stage, the Trotskyists in Catalonia exceeded the size and influence of Stalin’s “Communist” Party. At the same time, the Socialist Party had begun to swing towards the left and was actually appealing for the Trotskyists to join and educate them in socialism and Marxism. The leader of the Socialist Party, Largo Cabellero, had publicly come out for the idea of the “Fourth International.” Trotsky urged his supporters to join the Socialist Party, particularly the youth wing. A more favorable situation for the growth of genuine Marxism in Spain could not be imagined. But Nin, under the influence of Maurín, rejected Trotsky’s advice and a crucial opportunity was lost. Not only that, but the Stalinist ‘Communist’ Party did work within the Socialist Party, managing to win over the majority of the youth, and this helped to derail the exceptionally favorable prospects for the Spanish revolution (see: ‘Spain 1936’, Socialism Today No.200, July/August 2016). With these health warnings against the later writings of Victor Serge, the main body of The Life and Death of Leon Trotsky should be read as a very credible and inspiring defense of the role of Leon Trotsky and the heroic generation he represented in leading the Russian revolution, the greatest single event in history up to now. It hands down a spotless banner to the new generation in the fight against rotten capitalism and Stalinism – and raises the prospect of real democratic socialism on a world scale.